The fact-finding team from the Organization for the Prohibition of Chemical Weapons left Damascus for the nearby town of Douma. In a release, OPCW said the samples collected will be transported to its lab in Rijswijk, Netherlands, and then dispatched to the OPCW's designated labs for further analysis. The OPCW, which has been investigating use of toxic chemicals in Syria's civil war since 2014, said it will decide whether to return to Douma for additional samples. Its report will be submitted to the States Parties to the Chemical Weapons Convention. Syria and Russia have denied they were responsible for the attack, which killed more than 80 people. On April 13, the United States, Britain and France fired 105 missiles at three Syrian government sites in retaliation. 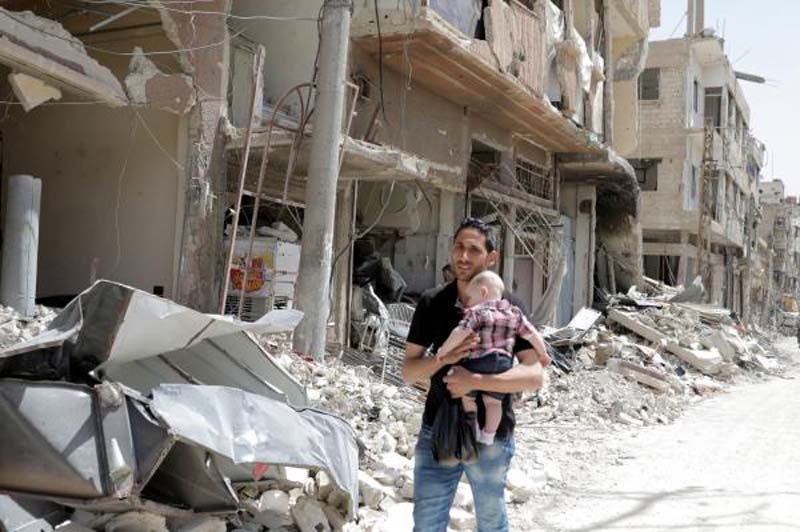 "Early on April 21, a special OPCW mission for finding traces of chemical weapons left for the city of Douma to the place of suspected use of toxic chemicals on April 7," Russian Foreign Ministry's spokeswoman Maria Zakharova said in a statement. "We consider such delays in a notable case like that, for whatever reasons, to be unacceptable, since the security of the OPCW staff was ensured not only by the Syrian side, but also by the command of the Russian military forces in the Syrian Arab Republic." The nine-member OPCW team had been waiting in the Syrian capital for clearance to visit the town. They were supposed to enter the town on Wednesday but the visit was delayed because U.N. risk assessment team came under fire while checking sites Tuesday. "We appeal to western colleagues to refrain from actions obstructing efforts to establish the truth regarding the provocation in Eastern Ghouta on April 7," Zakharova said. Jaish al-Islam group controlled the city on the day of the suspected chemical attack. After the attack, the rebels withdrew under a deal with the Russian military. Zakharova said Moscow expects OPCW's investigation to be impartial.